Have a preplanned budget. You do not want to buy a very expensive muzzleloader when there is a cheaper one with the same qualities in the market. Compare prices and features before making a purchase. How many years will the muzzleloader scope give you the service? Will it get destroyed after a few months or will you use it for many years? What do other customers have to say about the scope that you want to buy? Checking the feedback of previous customers is always the best way to tell if what you are about to buy will give you satisfaction. If you can personally contact a few people that have the muzzleloader scope, the better. The hunting seasons should not pass you by simply because of unfavourable weather. When buying a muzzleloader scope check if it is waterproof and fog proof. A good muzzleloader scope should perform at its best in spite of rain or fog. A good muzzleloader scope has a good lens that offers you a clear view. It is annoying when we hunters miss our target simply because the view was blurry. I mean, what is the fun in it if all you do is keep missing. To avoid this scenario, make sure that the gear you purchase has a lens that is made of high quality glass that prevents glare and manages light transmission. There is nothing better in a muzzleloader scope than its magnification. How much far can you zoom in? How much can it improve your vision? Does its magnification guarantee you easier target? Purchase only that scope which will enable you to see far and take a good aim. We all want a product that offers us maximum eye relief. How much far from the lens does your eye have to be to warrant clear vision? The best scopes have a relief of four inches. This is especially important for non-professionals or newbies. Even for professionals, ease of use is important. Make sure that the scope you buy is user-friendly. It should be lightweight, easy to clean, simple to attach and easy to maintain. The best scopes have a comprehensive warranty. This shows that the manufacturers have confidence in them. A trusted scope comes with free repair if the device develops any defects in its lifetime. Now that we are aware of the qualities we should look for in a scope, why don’t we explore the best types of muzzleloader scopes? This is one of the most magnificent scopes for deer hunters. It is a result of collaboration between Nikon and Buckmasters. It has multicoated lenses that offer high anti-reflection capability, maximum clarity and brightness. The eye relief of this scope is ample, at 100 yards parallax. It has a BDC reticle that make long range shooting possible. Nikon Buckmasters II is totally water and fog proof and it has nitrogen filling that prevents any moisture from entering it. This riflescope is covered by Nikon’s Limited Life Warranty so should it have any defects in materials or workmanship, the company will replace or repair it absolutely free. This scope is very highly rated by clients. The scope goes for around $100. If you are a lover of fast target acquisition, this one is more than perfect for you. 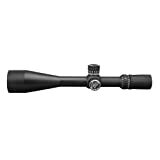 Simmons Truplex Riflescope 3-9×40, Matte is water, fog and shock proof so it can be used in all weather conditions. 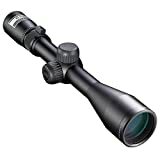 This scope has a triplex reticle and high magnification. This 8 point riffle scope includes true zero fingertip wind age and elevation for accurate shooting. Its quick target acquisition eyepiece ensures fast acquirement of target and precise shooting. With this scope, aiming is less of a challenge. With the traditional hunter scope, you can never fail. This muzzleloader scope has multi-coated crystal lenses that increase its clarity and brightness. It is nitrogen filled therefore no moisture enters it. It has a 3” eye relief with smooth elevation and wind age adjustments. This scope is water, shock and fog proof making it perfect for all weather. It has a compact design and its price is very pocket friendly. For modern black powder, Konus is the scope that you need. Konus has a great reticle that is design to work well with the modern black powder. This scope has so much clarity so the shots are very accurate. Its lenses are multicoated for utmost brightness in unfriendly lighting, and clarity. This scope is designed to enable you shoot from any angle. Konus has a 3” eye relief, it offers up to nine times magnification, and its only downside is that it is a bit bulky. If you are the type to explore and hunt I rough terrain, get Leupold for your muzzleloader. It has a 3-9×40 optic which is very perfect for a muzzleloader. It is suitable for even the harshest of terrains and all weather. It has good lenses for brightness and clarity and the contrast needed to hunt in low light conditions. It is easy to use and the price is pocket friendly. If you want to hunt with absolute skill, this is the scope for you. This scope works well with modern black powder, and it has an illuminated reticle for hunting in poor light and harsh weather. It has a 2.5-10 power magnification which is just right for muzzleloader ranges. Nightforce is water, fog and shock proof and it is also nitrogen sealed to prevent moisture from entering it. It has a 42mm objective lens which is coated with a propriety coating that aids in maximizing light transmission and in turn improving clarity. We hunters have our hearts fired up by excellently performing muzzleloaders. We are lovers of harsh weather and terrain because they only work to spice up the challenge. If I were you, I would not forget to consider all the qualities we have discussed above before choosing a scope for my muzzleloader. With the best scope, hunting is bliss.